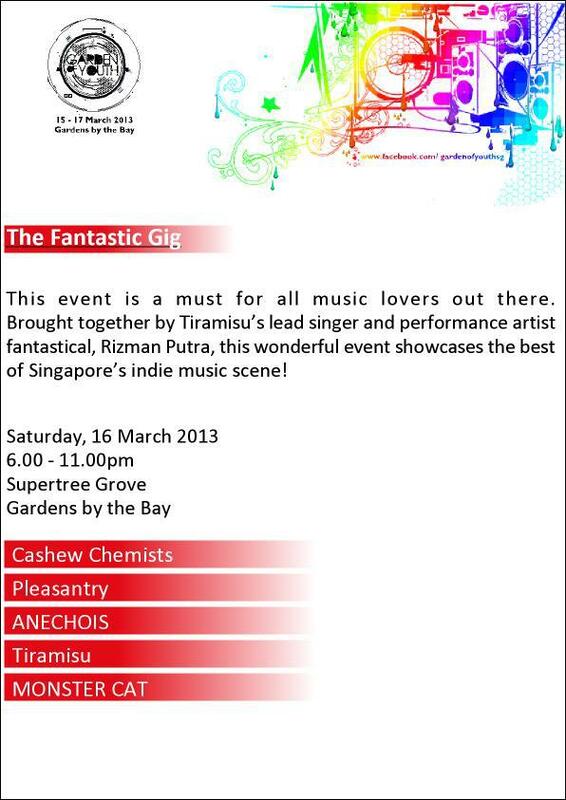 Come down this March at The Gardens By The Bay, we are going to rock The Super Tree, with the rest of the who’s who in the scene. We know Mosaic Festival is happening at the same time, but it’s going to be helluva night. There are loads of new merchandise and stuff. ~ by tiramisu on February 28, 2013.